Thank you to everyone who has attended the first two classes of Yoga for Liberation! This class has felt different than any I've ever taught in a studio, and I'm so inspired by the folks who are showing up on the mat for the first time to explore this healing practice. 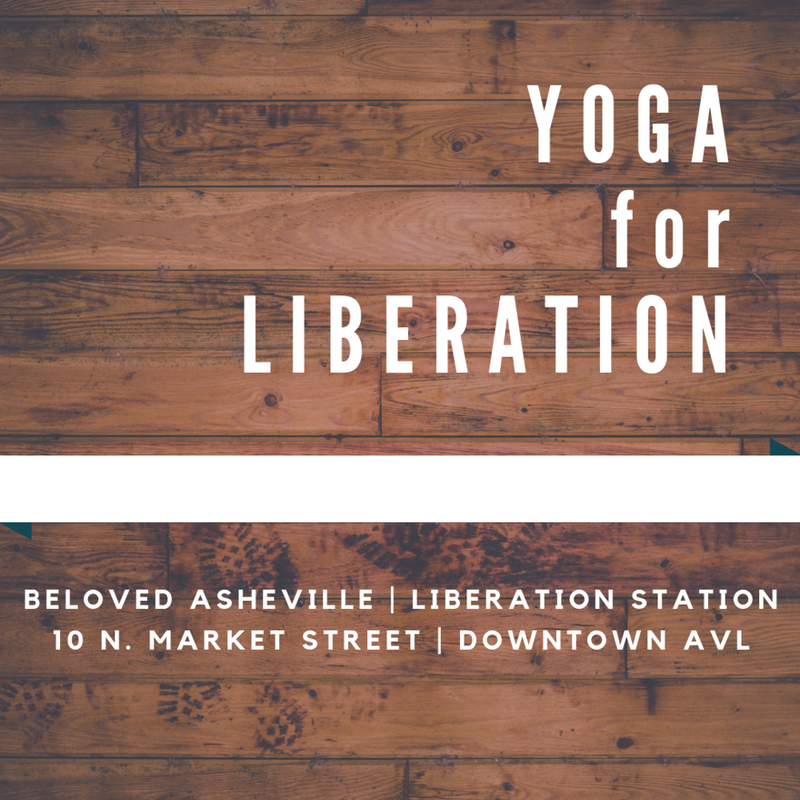 We have one more class in 2018, this Friday the 14th at 10AM at BeLoved Asheville's Liberation Station at 10 North Market Street in downtown Asheville. We'll start back in 2019 with classes every other Friday at 10AM starting January 11th. If you are curious and haven't joined us yet, this practice is trauma-sensitive, queer and trans-affirming, and welcoming to absolute beginners or seasoned yogis. Mats are available, but you're welcome to bring your own if you have one. The class is free and donations to BeLoved Asheville are welcome but not required. I hope you’ll join us as we breathe the world we want to live in into existence together. Newer PostMy office is moving!